On March 16th, 2019, the 1st stage of School Olympiad was held at YSU and all regions of Armenia. YSU has been holding the school Olympiad for 11 years. The aim of the contest is to orient pupils in their majors, to enrich their knowledge and abilities, to get necessary skills and to familiarize them with the faculties they prefer. The Olympiad is held in Tavush by the Department of Professional Orientation and Practice of YSU Ijevan Branch. YSUIB Acting Director, Associate Professor, PhD, Artak Tsutsulyan welcomed the School Olympiad participants. He highlighted the importance of such competitions before the final examinations, wished the participants good luck, touched upon YSU and Ijevan Branch and the problem of choosing relevant profession. 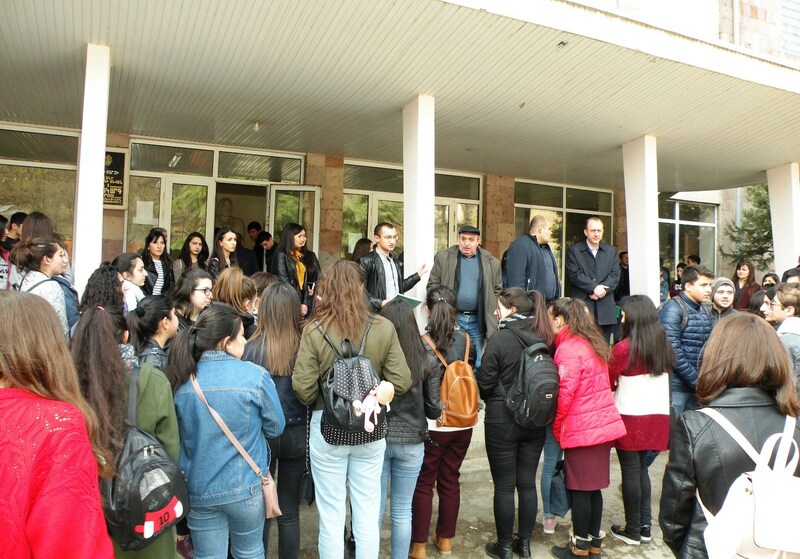 Then, Slavik Alaverdyan, Inspector of the Department of Professional Orientation and Practice of YSUIB, presented the participants’ lists, so the lecturers and students accompanied the Olympiad participants to the classrooms and the School Olympiad started. 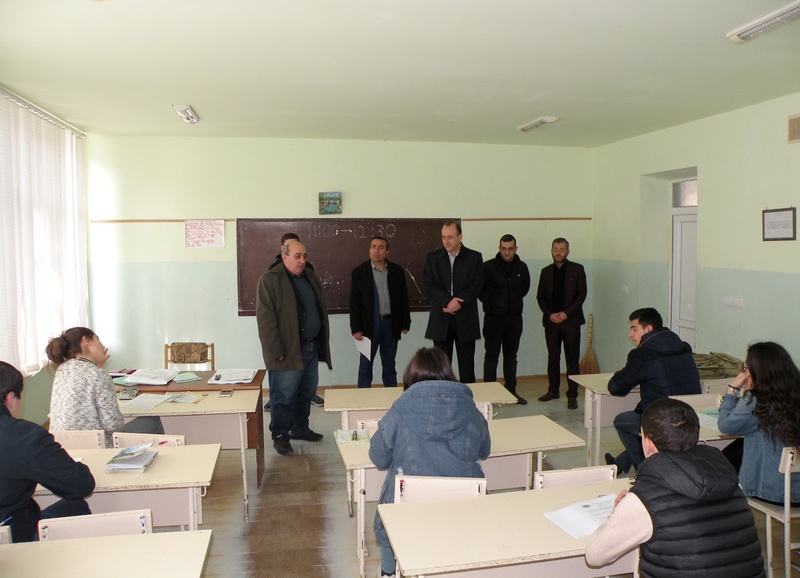 The Olympiad Participants received booklets about YSU, its various faculties and Ijevan Branch. The Olympiad is planned to be held in two stages. 2nd stage of the Olympiad to be held on March 30, at 11:00, at YSU, the winners of the first stage will take part in it. Closing and awarding ceremony of the Olympiad will take place on April 19, at 15.00 at YSU hall (central building, 3rd floor). ATTENTION: According to the decision of YSU Academic Council, the winners of the Olympiad ( I, II and III place winners) enrolled in YSU paid system of education, will be awarded with 50, 40 and 30% compensation of tuition fees. The photos are available in the gallery.